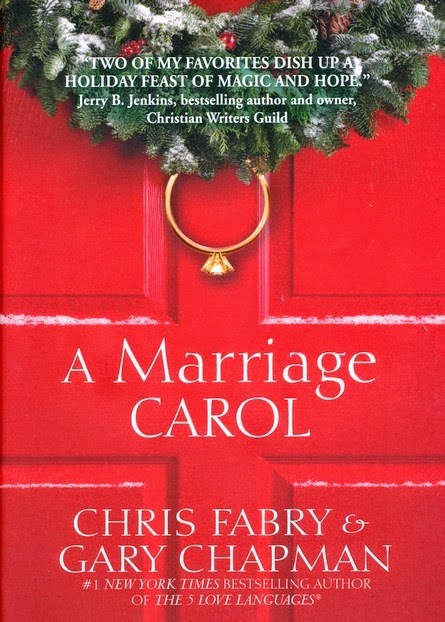 On Christmas Eve twenty years earlier, Marlee and Jacob were married in a snowstorm. This Christmas Eve, they are ready to quit, divorce is imminent. Their relationship is as icy as the road they're traveling and as blocked with troubles as the piling snow. They take a shortcut to get to the lawyer's office, on a slippery, no-fault path. She thinks they need to stay on the main road. He disagrees. They fight. Story of their lives and they slam into a bank of snow , spinning, drifting, falling, out of control. Just like their lives. Reluctantly, freezing cold, hungry, scared, she trudges up the hill. Jacob is nowhere to be found. Her ears frozen, fingers and hands red, she comes to a house on the hillside, built like a Bed and Breakfast, a green wreath on the red door and the door-knocker is in the shape of a wedding ring. The red door opens and the first thing she notices is the fire in the room, blazing hot, a warm, inviting, friendly place and the voice of an old man welcomes her in. There are three golden pots on the hearth, shining, glimmering things. The old man claims that they are used to restore marriages. She laughs-and begins a journey through her past, present, and future that will test how she views her lifelong love. There are two futures available. Which will she choose? A great little one sitting read. While using the names Marlee and Jacob is a little corny, it seems to fit within the new telling of a classic Christmas story that we all know. It's a story of finding hope when maybe you didn't think there was any left to be found, how one choice can change everything and how with some hard work and hope, everything can work out.